She continued her set with performances of her hit songs from Violet Evergarden and Mobile Suit Gundam: Iron-Blooded Orphans before delivering a powerful rendition of her latest song “Another Colony” (from That Time I Got Reincarnated as a Slime), which brought loud shouts from the audience as her extended final note carried through the theater. Luna Haruna appeared next, as calls of “Haruna!” and “Kawaii!” came from the fans who turned all their light sticks pink to greet her. In addition to her popular theme songs “Startear” and “Momoiro Typhoon”, Haruna surprised the audience by performing anisong duets with TRUE (K-ON!) and nano (Mobile Suit Gundam SEED). nano remarked at the difference between her style and Haruna’s, joking “So cute… and then so black!” She laughed with the audience, and added, “That’s the amazing thing about an anime event like this, these unique collaborations with amazing performers like Luna Haruna, TRUE, and Konomi Suzuki. We all got to choose our own collaborations, so when Luna and I decided on ‘INVOKE’, I thought… ‘Cool!’ It was cool, right?” she asked the crowd, who shouted their approval. 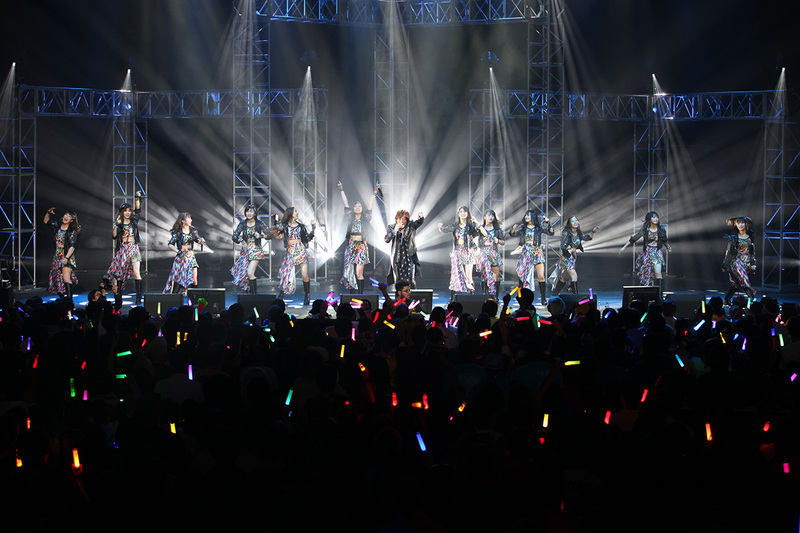 Each performer took the time to give sincere thanks to the audience and perform more of their solo hits before joining together for a group performance of “God Knows…” (from The Melancholy of Haruhi Suzumiya) to close the first night of the festival. 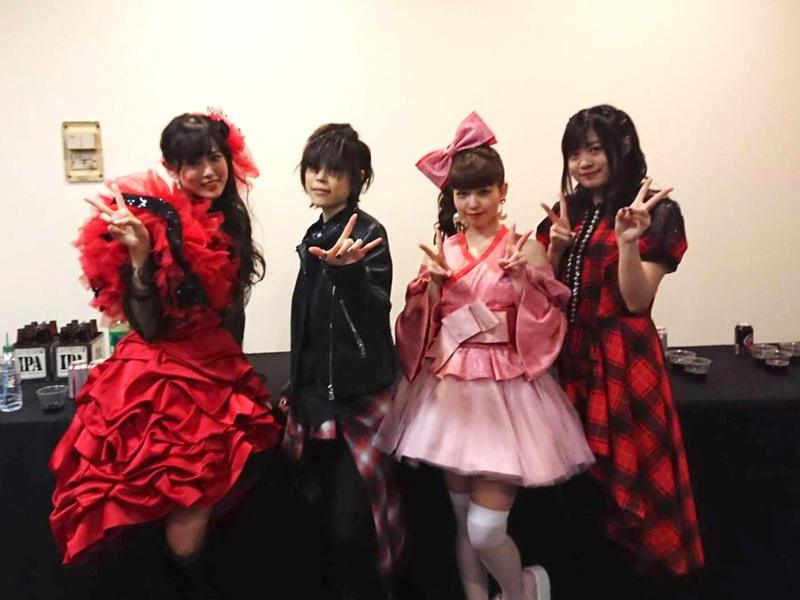 Day 2 of Anisong World Matsuri featured the all-star lineup of Hironobu Kageyama (Dragon Ball Z, Saint Seiya), Hiroshi Kitadani (One Piece, Kamen Rider Ryuki), Shoko Nakagawa (Gurren Lagann, Fullmetal Alchemist: Brotherhood), and legendary idol group Morning Musume。’18. 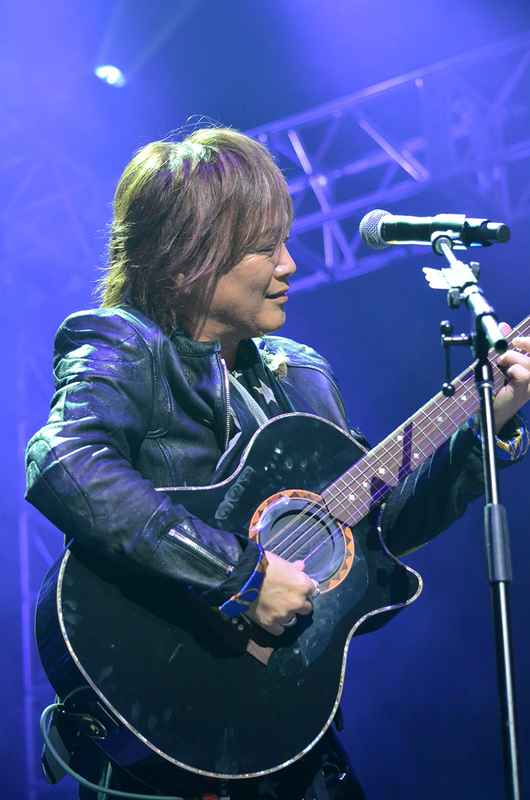 Kitadani got more laughs from the crowd when he announced he’d be singing “Divine Love”, the JAM Project theme song for Saint Beast “…featuring me! …DANI!” The set climaxed with the singer jumping high in the air for the original One Piece theme “We Are!”, inviting the audience to join him in the song’s final chorus. Shoko Nakagawa (Shokotan) sang fan-favorite hits from Pokemon XY and Gurren Lagann backed by two dancers, and then announced her new single “blue moon” (from Zoids Wild), which had been released worldwide the same day. Fans turned their light sticks blue for the emotional ballad. “This is my first time in New York! I’m so happy!” she proclaimed. 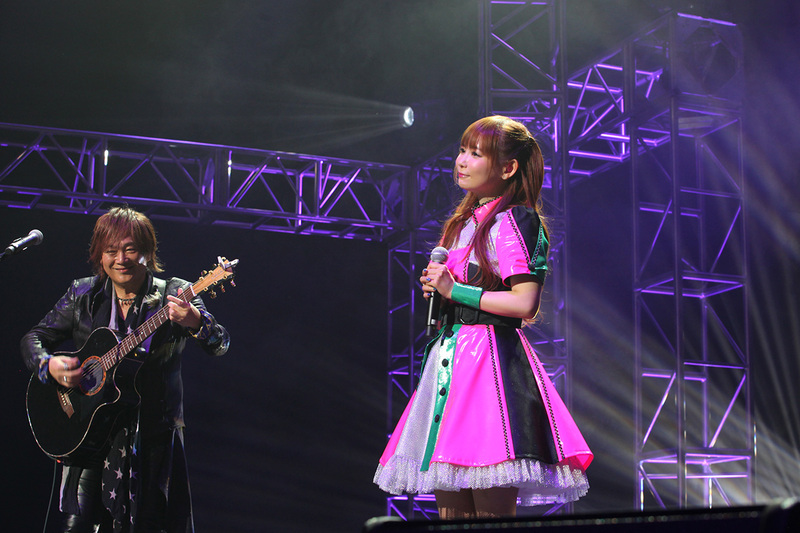 To end her set, Hiroshi Kitadani came to the stage to join Shokotan for a dramatic performance of “Pegasus Gensou ver. Omega” from Saint Seiya Omega. J-Pop idol group Morning Musume。’18 took over the stage as the twelve members thrilled fans with synchronized dances to “Jiyuu na Kuni Dakara” and “Are You Happy?” Each member introduced herself to the New York audience and announced the title of her favorite anime series. 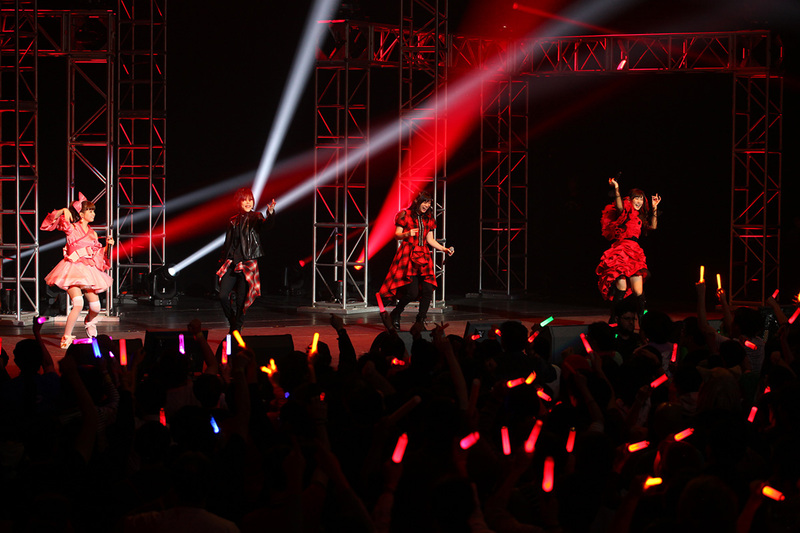 A few of the current members had performed in New York City during the group’s 2014 concert, and the Anisong World Matsuri event was the final overseas performance for group sub-leader Haruna Iikubo. 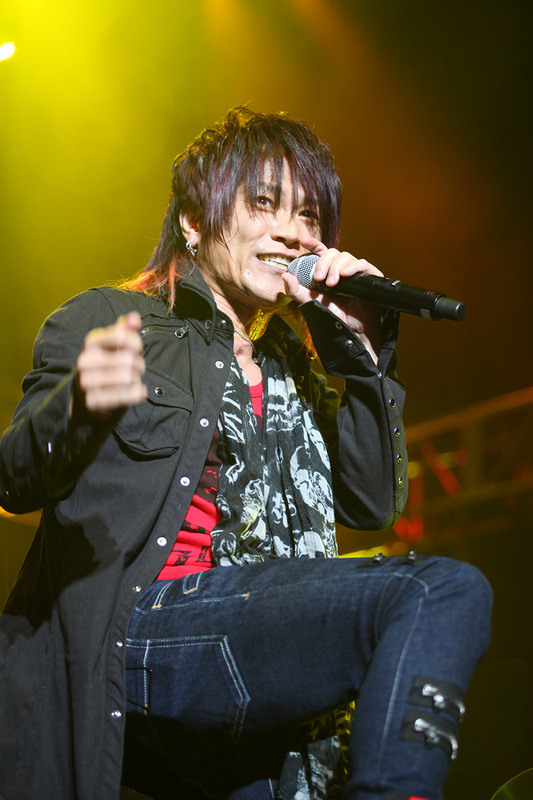 Continuing their set with recent hits and an updated version of “Renai Revolution”, the group invited Hironobu Kageyama to join them on stage for a special medley. “But I can’t dance!” complained Kageyama. After Morning Musume。’18 promised to help, they performed the classic Morning Musume。hit “Love Machine” combined with Kageyama’s world-famous theme for Dragon Ball Z, “CHA-LA HEAD CHA-LA”. Kageyama launched into the second Dragon Ball Z theme song “WE GOTTA POWER”, followed by songs from Saint Seiya, Getter Robo Armageddon, and Cowboy Bebop. Delivering the night’s most powerful moment, Kageyama brought out his acoustic guitar. “We’re going back to my very first anisong, back to 1986. It’s very, very old, but very, very beautiful.” He signaled for Shoko Nakagawa to join him on stage, and they began singing the moving ballad “Yume Kounen” from Uchuusen Sagittarius, bringing a moment of intense focus and emotion to the crowd, with many fans smiling through tears as they applauded the once-in-a-lifetime duet. “I know you all can’t get enough!” Kagayema shouted, and brought back all the night’s performers to the stage to give thanks to the New York fans and Anime NYC. 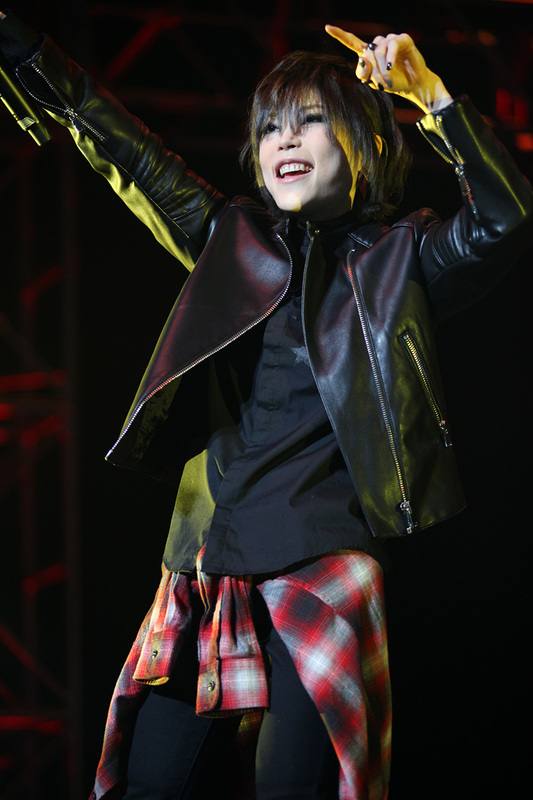 Kitadani added his Terminator impression: “I’ll be BACK… in New York!” Together they sang JAM Project’s “THE HERO! !” from One Punch Man to finish the two-day event at maximum volume. 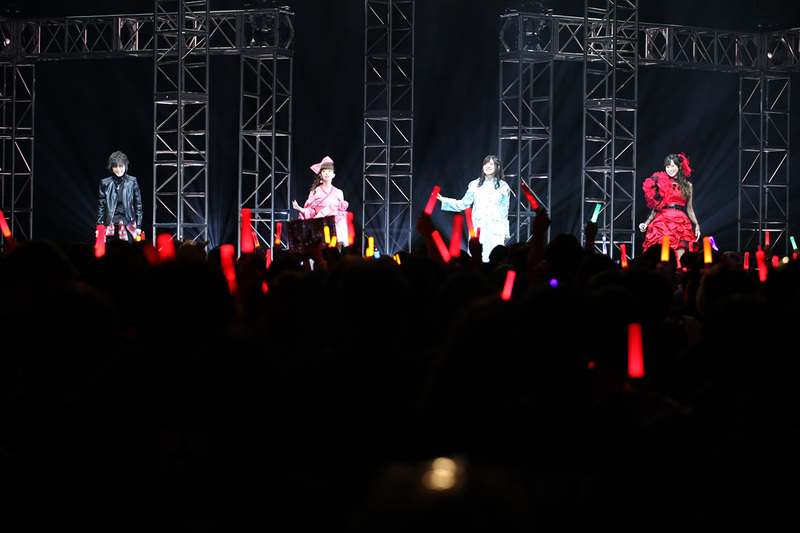 Anime NYC, which welcomed a record 36,000 attendees to Manhattan’s Jacob K. Javits Convention Center, teamed with New York City to create a special citation naming November 16, 2018, “Anisong World Matsuri Day” in recognition of the event’s popularity and its effect of bringing together thousands of fans from across the United States and other countries for New York’s biggest-ever J-Pop concert series. Anisong World Matsuri is a partnership between leading Japanese entertainment companies including BANDAI NAMCO Arts, Inc., Amuse, Inc., and Sony Music Entertainment, Inc. to bring Japanese pop music popularized by anime (“anisong”) to new audiences around the world. 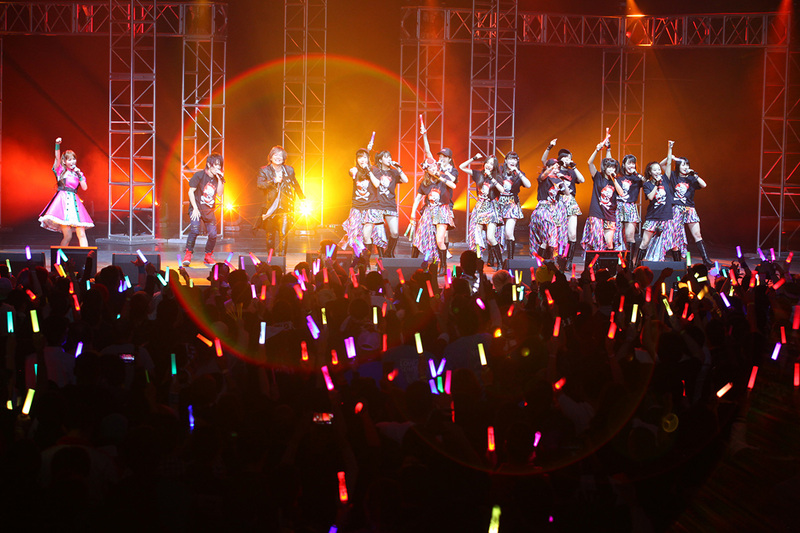 Launched in 2016, Anisong World Matsuri has held major event concerts in cities including Los Angeles, Shanghai, Washington D.C., and New York City. Anime NYC powered by Crunchyroll is New York City’s anime convention. A showcase of the best of Japanese pop culture in the biggest city in America, Anime NYC brings anime fans and publishers together for three days of unique exhibits, exclusive screenings, extensive panels, and appearances by some of the biggest creators in Japan.